We’ll file this one next to “what kinds of products keep places like Best Buy in business”? Today we’ll simply focus on fluids. 1)LCD screen cleaner – How selfless of them to offer everything you need in an easy to use kit? Too bad it’s just a microfiber cloth, isopropyl alcohol, and distilled water. You can make a gallon for 3% of that price. 2) Shredder oil – Paper shredders are an excellent way to fight identity theft. The action of shredding paper generates a large amount of dust that is detrimental to the life of the printer. Big box stores sell a lubricant for this purpose. I don’t know if I’d want to stir fry with it, but according to lifehacker, this product is canola oil placed in a different container. In another month, every break room and front porch is going to be loaded with well-intentioned zucchinis, cucumbers, and tomatoes from benevolent friends and neighbors. But in the interim, take this recent advice from Lifehacker. According to them, it’s practically a standard equation at the supermarket level regarding deep price markdowns to salvage some return on the product before the freshness date expires. To compound it, Wednesday may enable you to harness overlap between the the two-week span’s advertising circulars. It makes sense, and it’s actually true. I figure whatever they aren’t going to be able to work into the next day’s salad bar gets the big red sticker. Frequently I get seven bagged salad mixes that were $3 once they become $1. That’s the only time to buy. If you pay more than $1, you paid too much. If there’s nothing there for $1, select another style of mix that they are unloading. Congratulations, you paid $7 instead of $21 for your week’s lunches, you genius. Apparently the leafy greens in there turn into a pumpkin coach after midnight as opposed to something that is completely edible and delicious we all can safely consume for an additional 7 to 10 days. 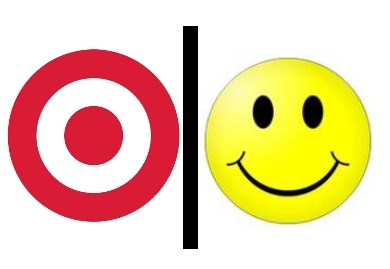 Frugal Librarian #36: Bullseye vs. Smiley-face…whaaat? Notwithstanding any preconceived notions about either store, I was as shocked as you will be when several unbiased sources pitted the monolithic Wal-Mart machine against a spirited Minnesota-headquartered box store called Target and the latter won. I had no idea this was possible. 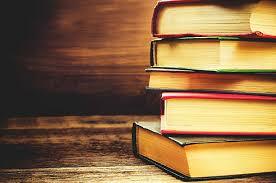 Any readers out there have anecdotes where David beat Goliath? According to one savvy reader of The Consumerist, if fellows crunch the numbers and start shaving old school, they can rack up quite a savings. Hundreds of dollars a year, in fact. Many guys marvel at the appalling cost of cartridges that seem calculatingly designed for planned obsolescence. There are hobbyist sites devoted to the discussion and manufacture of retro hardware, soaps, and brushes. So in addition to the financial savings, you get to join the fraternity of every guy you’ve seen in a Western, war movie, or Mad Men’s Don Draper. I’m interested in both factors, but think I may go through more than $160 a year in bandaids. Most readers will recognize Christine Romans as the CNN business reporter and host of “Your $$$$$.” But I wonder how many realize she hails from right here in the QCA? Yup, that’s right! Romans grew up in LeClaire, Iowa, and graduated from Pleasant Valley High School. She went on to graduate from Iowa State University in 1993 and then began working for the Des Moines Register. Later, she worked with a financial news firm in Chicago before hitting the big time with CNN in 1999. 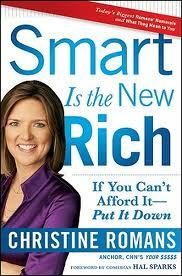 Her book is proving popular, so come check it out and use Money Smart Week to get smart and rich! Courtesy of savvy shortcut website for modern living, Lifehacker, here are the top ways to stay warm this winter for less dough. Some involve constructing genius DIY doohickeys, others tweaks on classics. I like the machine that cycles absorbed solar heat through 180 empty cans of your favorite beverage. Well, I’d let someone else actually “make” the device. And powered longjohns? Interesting and doable, but I’ll leave that one to the experts. Awww, my stomach. Just rehearsing. But normally that’s the morning-after lament of the serially psychotic that go after doorbuster sales. In case you’ve been a devotee of online bargains using great portals like fatwallet.com, you’ll notice there was a steep uptick in the amount of great posted deals starting a couple weeks ago. The reason for this being, retailers depend heavily on this time of year to bring their ledgers into the black and have a strong 4th quarter. They need more time. As far as they’re concerned, it started the day after Halloween. Here is an excellent write-up the Argus did, hitting all of the key points with a few tips. So if they’re bumping Black Friday up, does that mean we can engorge our stomachs a month early as well? Frugal Librarian #32: If the shoe fits? Maybe its the element of risk or the fear of commitment, but I’m still skittish about buying shoes online. There is definitely a larger selection and you can sometimes save a few dollars — especially now as they blow out old stock in the fall to make way for new styles. As far as getting a gander at them, all the online merchants seem to have them mandatorily photographed from a half dozen angles. But what if the dang things make you feel like one of Cinderella’s ugly sisters when they arrive by mail? Major player Zappos tries to assuage that fear by offering free and unlimited returns. You’re not supposed to notice that they build about 5 bucks back into the item cost. Take this one for example. Looks like something I could abuse, cover in winter rock salt and be too lazy to polish for the next 4-5 years. But what’s a Stonefly Milano? After straw polling my peers, I’ve been told an excellent way is to know how a certain brand fits and count on that manufacturer’s internal controls to be consistent. In other words, once a size 11 New Balance, always a size 11 New Balance. In that event, it might not be a bad idea to go to a shoe store with a notepad and number two pencil to build an extensive brand dossier for your feet. Comment with your shoe tips and favorite merchants, as well as any woeful tales of goofing on a size and getting stuck with $6.95 return shipping each way. Hey, sometimes you roll the dice and lose. That’s life. It turns out that second only to Christmas, computer manufacturers depend bigtime on back-to-school demand to fuel the sales of computers. Well, according to major player Intel, the kids (or cash-strapped moms and dads) didn’t want near as many as anticipated and they are stuck with a surplus on their hands. If you’re willing to wait a month or so, this soft demand might mean an excellent deal if you were on the fence about a purchase.